FDA Approved antibacterial agent prevents the spread of germs. Plastic holder protects toothbrush from contacting other surfaces. Suction-cup design attaches to mirror. Mypromotionalpens.com offers the largest and best priced selection in Promotional Toothbrush Holders. We will price compete and we won't be under sold. 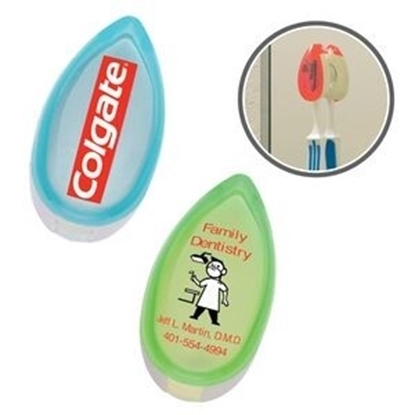 Let our graphic designers make your personalized Toothbrush Holders standout above the crowd at no charge. We won't stop until you are completely satisfied with your custom Toothbrush Holders art proof.Use category search filters on your left to help narrow your search to find exactly what you are looking for.